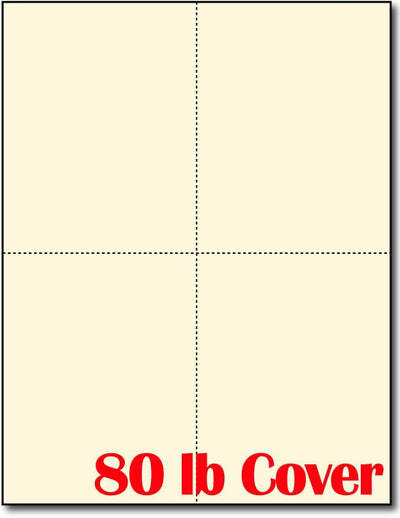 Postcard Measures - 4.25" x 5.5"
Our Heavyweight Blank Cream Postcards come on 8 1/2" x 11" sheet and come 4 per page. Each postcard measures 5 1/2" X 4 1/4". These postcards are both inkjet and laser compatible and are microperforated for easy breaking and cleaner edges. Made from 80lb cover (216 gsm) cream cardstock.